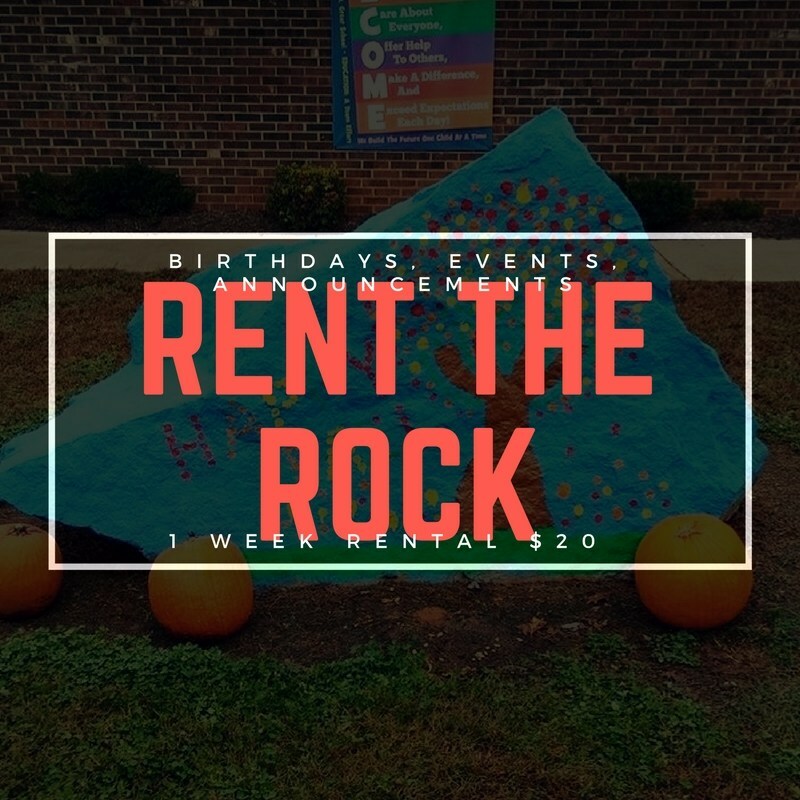 Got​ ​a​ ​special​ ​message​ ​or​ ​a​ ​“Happy​ ​Birthday”​ ​that​ ​you​ ​want​ ​to​ ​shout​ ​out?​ ​If​ ​so,​ ​you​ ​should​ ​rent Shuford​ ​Elementary’s​ ​Spirit​ ​Rock​.​ ​The​ ​Spirit​ ​Rock​ ​is​ ​the​ ​large​ ​blue​ ​rock​ ​that’s​ ​located​ ​at the​ ​front​ ​of​ ​the​ ​school.​ ​Parents,​ ​families,​ ​or clubs​ ​can​ ​rent​ ​it​ ​by​ ​the​ ​week.​ ​​ ​If​ ​you​ ​want​ ​to recognize​ ​your​ ​child’s​ ​birthday,​ ​a​ ​special​ ​accomplishment​ ​or​ ​an​ ​event, see current Spirit Rock reservations calendar below and make sure your desired week is available. Please fill out the Spirit Rock form and send to shufordspiritrock@gmail.com​​ ​to​ ​request​ ​your​ ​reservation. Spirit Rock Committee recommends you use Acrylic Paint or Spray Paint for your message!! Have questions? Don't hesitate to email us!